With the addition of this new dealership, the total number of BMW sales-outlets in Gujarat has increased to three. "BMW is an admired premium auto manufacturer and continues to set new benchmarks in India. BMW India is committed to creating unparalleled customer delight. We believe that the circle of 'Sheer Driving Pleasure' can only be completed by introducing innovative products, building world class dealerships, maintaining state-of-the-art local-production facilities and having a motivated workforce that engages passionately with our clientele to deliver premium services ahead of time. 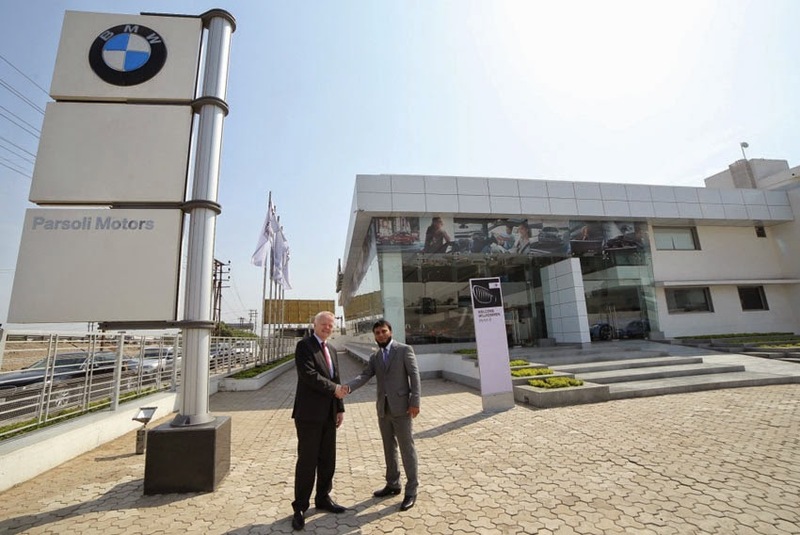 With the launch of our third dealership in Gujarat, we have further strengthened our commitment to one of the most promising markets in India," said Philipp von Sahr, President, BMW Group India. Talha Sareshwala added, "Our partnership with BMW India started seven years ago and it has been an absolute pleasure working alongside BMW. The foundation of our association is based on bringing extremely high standards in sales and service of premium automobiles to India. As BMW India grows, we also grow. Since 2008, we have established a strong business and continued to expand our footprint. Today, we are very excited to launch our third facility. We share BMW India’s business outlook and are dedicated to serving our growing clientele with enthusiasm and passion." Spread over 40,000 sq ft, the ultra modern 4S facility has a classy showroom integrated with after-sales service workshop. The dealership delivers extremely high quality standards in all processes of Sales, Service, Spare-parts and Business Systems to ensure that customers receive best-in-class pre and post sales ownership experience. The design of the showroom is based upon Urban Street Display concept which is a signature BMW layout with sales lounges close to the display area. The showroom will display 10 cars indoors and along with 'Special Display' area featuring high-end cars. The 'Lifestyle Section' displays premium BMW accessories for sale to customers and BMW fans. The state-of-the-art workshop comprises of eight service bays (including mechanical, body and paint) that can service up to 150 cars per month.